Fishnet is not the usual material purchased when making curtains. If you are going with a beach or tropical theme in your home decor it is the perfect option. No sewing is required and it is fast and easy. Fishnet curtains add a whimisical touch to a guest room. Add a nautical themed comforter, lamp and pictures to complete the look. Your guest will feel like they are at the beach. Measure the width and the length of the window you will be making the fishnet curtains for. Buy a curtain rod to fit the width of the window. Attach the curtain rod about one inch above the window using the hardware that comes with it. A curtain rod that has decorative ends such as seashells or fish is preferable. Attach the curtain wall hook on whatever side of the window you want the curtain to be pulled to. 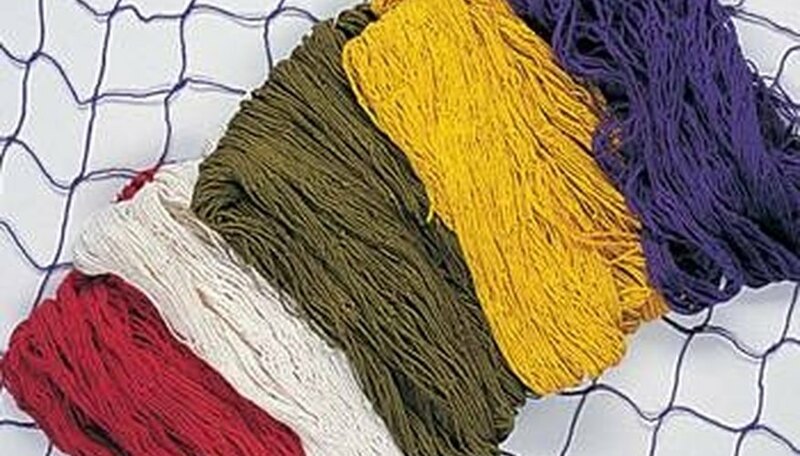 Lay the fish netting out on a table or flat surface. Measure the width and length of the net. If necessary cut the net so it is two times the width and length of the window. The fishnet curtains should drape quite a bit. Take down the curtain rod. Thread the fishnet over the rod. It will be bunched up on the rod. Replace the rod back over the window and even out the fishnet. Pull the fishnet to the side with the hook in the wall. Place the fishnet over the hook. Do not pull tight allowing the fishnet to sag somewhat. Tie the piece of rope around the fishnet on the side. Add the decorative seashells and fish to the fishnet. To help hold the decorations in place add a drop of hot glue or super glue to the item before placing in the fishnet. Purchase fish theme shower curtain holders and use to attach the netting to the curtain rod. Hang the shower curtain holders over the rod and hook the fish netting onto the hooks.